Uni-Com is the manufacturer of the dDopp, comprehensive diagnostic ultrasound at the point of care for a broad spectrum of applications. 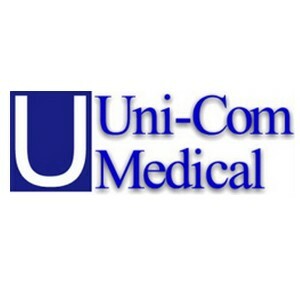 Initially dedicated to communication, Uni-Com quickly expanded and engaged in the growing market of the computer based medical devices and information sharing. Our experience and capabilities are helping us to meet and match the real needs of the healthcare market in providing excellent diagnostic and interpretation of patient wellness. Thanks to integration capabilities, our main market is currently all physicians using Electronic Medical Record system for diagnostic, management, storage and sharing of their patient data. The dDopp is intended for general use, however, the main use is the mother / child follow-up on site. Highly portable, for hospital, GP, home, battelfield, emergency purposes. We offer distribution and/or EMR partnership. Uni-Com is proud to have tested and delivered proven high performance solutions for difficult challenges and conditions, insuring continually the best quality and communication development to our valuable day-to-day users.